Logitech’s ZeroTouch smartphone holder has been on the market for almost a year, but I’ve ignored it because my beat doesn’t include mobile devices. That changed about a month ago when Logitech integrated Amazon’s Alexa Voice Service into its ZeroTouch app. Now I can use voice commands to control my smart home while I’m in the car and my smartphone is connected to the ZeroTouch. I’ve encountered a few bumps in the road during my month-long review (pun intended), but I’ve concluded that the air-vent version of this holder fully justifies its lofty $60 price tag (simpler phone holders cost about 10 bucks.) The dashboard version has all the same features, but I’m not as enamored with it because it must be glued to your dashboard and it costs $80. Apple iPhone users, meanwhile, might want to stop reading now: the ZeroTouch is an Android-only device for the time being. The hiccups I encountered turned out to be not the fault of the product, but there is one other limitation (beyond being Android-only) that you’ll want to know about right up front. It’s not a bug, as the saying goes, it’s a feature: If you want the ZeroTouch’s (and Alexa’s) voice responses played through your car’s speakers, you’ll need to set your head unit to operate in media mode. That’s an Android requirement, but it makes it nearly impossible to listen to terrestrial radio on the head unit and interact with the ZeroTouch—or Alexa—at the same time. Icons and text are prominently displayed, but you almost never need to look at the phone because a voice reads everything to you. Fortunately, this doesn’t impact using Bluetooth to make and receive calls via your head unit. I’m accustomed to listening to NPR news broadcasts when I’m in the car, however, so I tried using the ZeroTouch independently of the head unit for a while. I don’t recommend it because it’s too distracting: The head unit’s radio will cut out when your phone rings, so you can answer the call, but it won’t do that for the ZeroTouch’s voice prompts. Those are played on the phone’s speaker while the head unit is playing the radio. I found myself constantly reaching for the head unit’s volume control either because the ZeroTouch was alerting me to an incoming message or because I wanted to use the ZeroTouch. If you want to listen to music on your car stereo, it’s far better to pair the ZeroTouch with your head unit and stream music from your phone over Bluetooth. The ZeroTouch supports Spotify, Deezer, Pandora, or Google Play Music. To do that, however, your car’s Bluetooth system must be capable of supporting both phone calls and media streaming. That wasn’t an issue with the new Kenwood KMM-BT515HD head unit I recently installed in my truck, but the Bluetooth in my 2010 VW Golf only allowed me to make and receive phone calls. The only way I could stream media and hear the ZeroTouch’s voice prompts on my phone in the car was to physically connect the phone’s headphone jack to the car’s aux input. I’ll dive deeper into this and the ZeroTouch’s other features later; for now, I want to focus on Logitech’s Alexa integration. In my home, I have several Amazon Echo devices connected to a Vivint smart home system that monitors my home’s security and controls nearly all its interior and exterior lighting, entry locks, thermostat, garage-door opener, and security cameras. I almost never reach out for a light switch, adjust the temperature at the thermostat, or even touch the Vivint Sky control panel (other than to disarm the system in the morning). Instead I tell Alexa to turn lights on and off, adjust the temperature, lock an exterior door, or arm the alarm system. 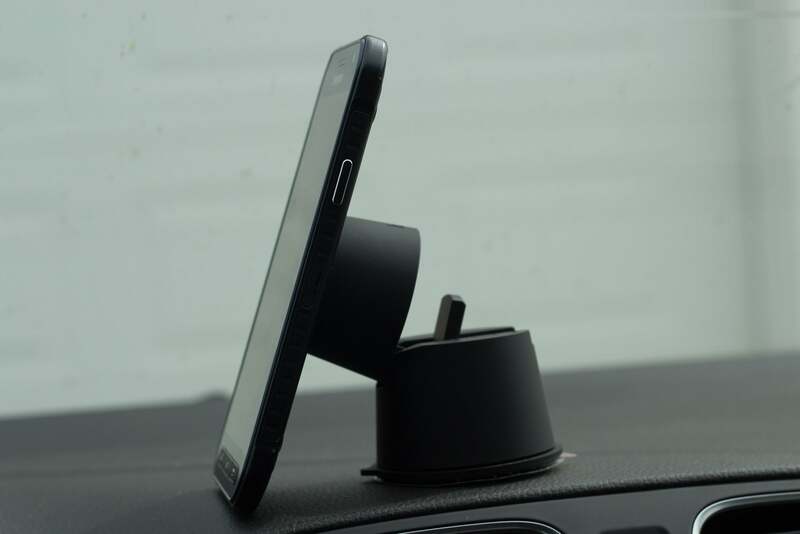 Logitech’s ZeroTouch automobile smartphone mount has a battery-powered Bluetooth radio onboard. This model attaches to one of your car’s air vents. Before the ZeroTouch, I had to pull out my phone and launch the Vivint app if I needed to do any of those things from the car. And with 25 devices just for lighting control, it took a lot of scrolling to find the one I wanted to use. Now I just dock my phone to the ZeroTouch, briefly put my hand in front of its proximity detector (Logitech calls this gesture a “high five”), and summon Alexa. If it’s dark when I get home, I can tell Alexa to turn on the garage light before I get out of the car. If I forgot to arm the security system, close the garage door, or lock any entry door before I left, I can tell Alexa to do it from anywhere I have network access. And if I can’t remember what I did or didn’t do, I can ask Alexa to check for me. There are some things Alexa can’t do: She can’t disarm my security system, she can’t unlock doors, and she can’t open my garage door. Nor would I want her to, because Amazon’s cloud-based AI can’t distinguish an authorized user’s voice from that of a burglar—or a nosy neighbor, for that matter. In addition to controlling my smart home, Alexa in the car can do all the same things that Alexa in my house can do: She can estimate my commute time, tell me about the appointments on my calendar, give me a weather report, play news and sports updates, play music, read me a Kindle book, and a whole lot more. Don’t have an Echo at home? You don’t need one. 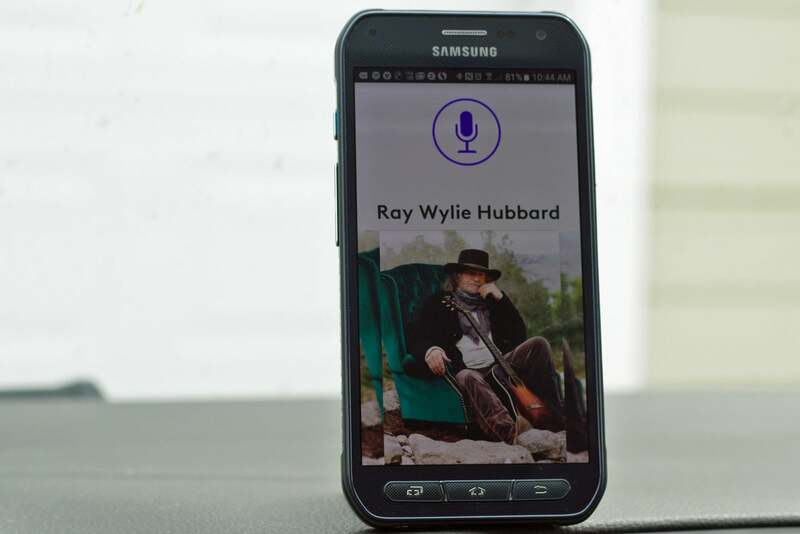 The ZeroTouch is a great Android accessory even without its Alexa integration. It’s available in two form factors: A black dashboard mount with an adhesive bottom that sells for $80, and a black, white, or red air vent model ($60) that clips to one of your car’s air vents. The presence of a coin-cell-powered Bluetooth radio in each model explains why they cost so much. These are much more than just phone holders. That said, I think the less-expensive air vent model is the better value. Own more than one car or have more than one smartphone in your household? You can pair your phone with multiple mounts, and each mount can be paired with more than one phone (provided they’re Android phones). Both ZeroTouch models hold onto your phone via a magnet and require you to glue a metal plate to the back of your phone for this purpose. The 1.5-inch-long by .75-inch-wide plate is thin enough to fit inside most phone cases, and while the most logical place to put it is in the middle of the phone’s back—right about where the NFC antenna and wireless charging coil are located on my Samsung Galaxy S6 Active—I had no problem using NFC pairing. I don’t have a compatible wireless charging pad, however, so I couldn’t test for interference in that context. I can tell you that the mount is secure: I tested the air vent model in my full-sized 4×4 pickup and the mount never detached from the truck’s air vent and my phone never fell off the mount, even while driving over rough country roads. The ZeroTouch automatically detects when the phone is attached to the mount and launches the ZeroTouch app. If you receive a text message or an email (you can set up multiple email accounts, with one designated as the default), the app will chime, tell you who the message is from, and ask if you want to hear it. Respond “yes,” and the app will read the message and then ask if you want to respond. After you’ve dictated your response, the app will read it back to you and then ask if you want to send it. You need never take your eyes off the road or your hands off the wheel to accomplish any of this. If you’d prefer, you can configure the app to auto-reply (the default message reads “I’m driving and will get back to you once I’m off the road”). The process is similar for sending a text message or email, except that you need to give your phone a high five to wake the app first. Everything else is accomplished with voice commands. 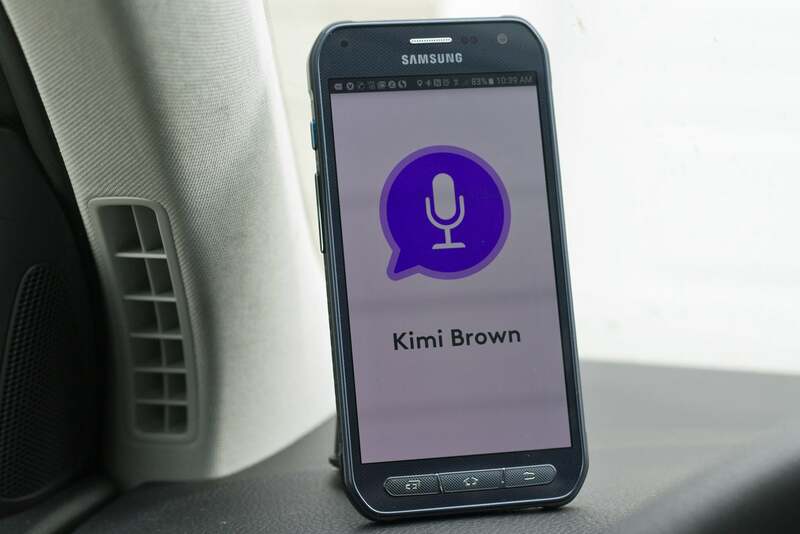 You can use voice commands for other tasks, too, including navigation. Give the ZeroTouch a high five and say “navigate,” and it will ask where you want to go. Answer the question and the app will tap the phone’s GPS and Google Maps. If you don’t know the address of your destination, you can say the name of the location or even the type of destination you’re looking for (“post office,” “gas station,” or “pizza,” for instance). The app will give you three choices, complete with Yelp ratings, and help you navigate to the one you choose. You can also save addresses for your home and work. Forgot where you parked your car? 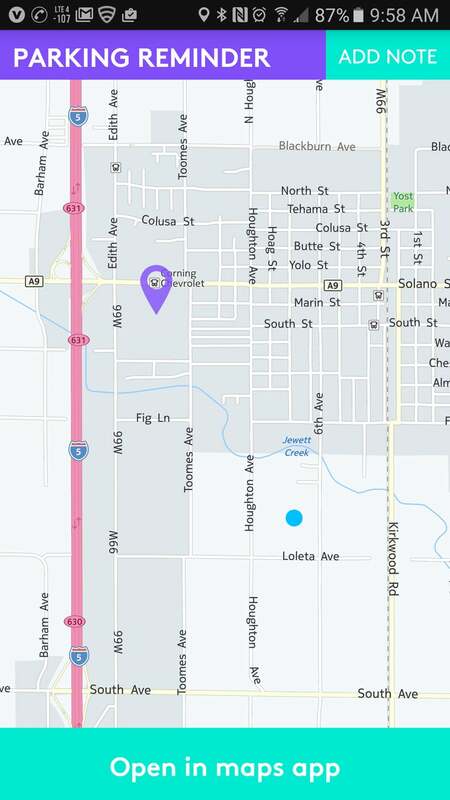 The ZeroTouch app remembers the last location the phone was undocked. For iPhone users, the answer to that question is obviously no because there’s no iOS version of the ZeroTouch app. That’s just—weird. 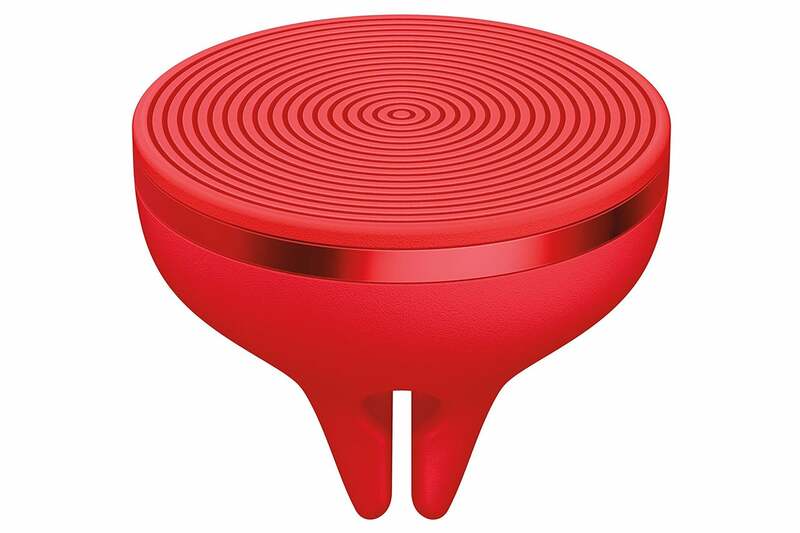 For Android users—especially those with Alexa-compatible smart-home products in the house—the ZeroTouch is probably the best phone holder on the market. Its only downside is that it’s a bit of a pain in the neck if you want to use all of its features and listen to terrestrial radio at the same time. Two final things you should be aware of: Sending and receiving text messages and email or using Alexa won’t have much of an impact on your phone’s battery, but using navigation and streaming music over the phone’s network and Bluetooth connections will. For longer trips, I’ve been routinely connecting my phone to the head unit’s USB port so that the phone’s battery gets charged while I’m driving.